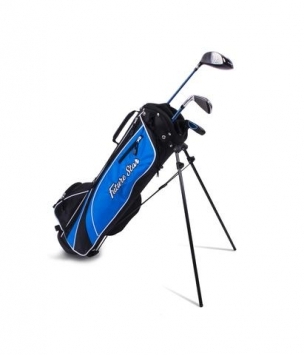 The new PGF Future Star JWS range is the ideal way for kids to get started in the game of golf. There is a size and specification for all ages with 3 different sizes for 3 different age groups plus a girls spec for 9+’s . PGF Future Star clubs are made with lightweight Junior Weight Specific (JWS) components that are easy to swing with oversize heads that are super easy to hit and launch the ball high.